Buying your first car is an incredible experience. You can go anywhere you want at any time. Your business prospects improve as well because you can travel more freely for business meetings. Then you discover that cars can be problematic as well. For example, having spare change for parking fees becomes critical so that the local authorities do not tow your car. Another troubling expense that you discover is the cost of repairs. You will also learn that performing a diagnosis comes first and then the repairs follow. Here are 4 ways an ODB2 diagnosis is the best way to diagnose your car’s problems. The work of an ODB2 scanner is to detect problems with your car. That is unsurprising because other electronic devices can do the same thing. However, the way it does it is incredible. More specifically, it does it in a simplified way. For example, the first character that appears on it represents the system that seems to have a problem. B stands for Body, C for Chassis, and P for Powertrain. The code also has second digit showing you whether the analysis is generic or enhanced. The third digit represents the subsystem where the problem seems to be. Finally, the fourth and fifth digits are the precise problem that your car has. The average driver drives for 13,474 miles each year. Some of these travels will take you to distant locations. 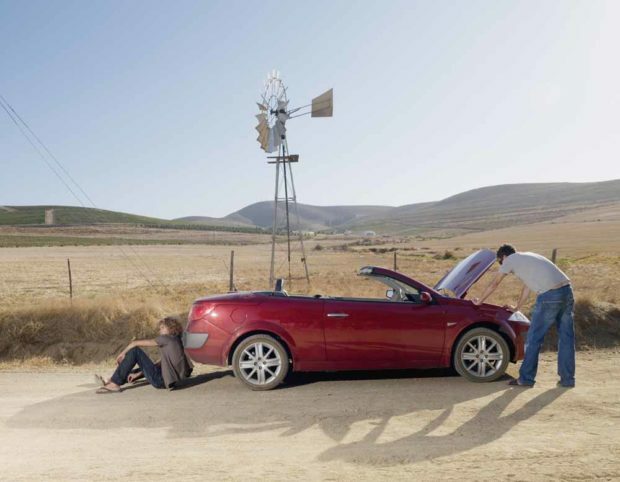 What will you do when you are in the middle of nowhere and you suspect that your car has a problem? Who will diagnose it for you? ODB2 helps you detect car problems in a non-prohibitive way. You can use it anywhere and at any time including when you are stuck on the road because of car issues. Remember, ODB2 scanners are a perfect way of scanning for such problems on the road because they are portable. You can take them on the road with you without any inconvenience whatsoever. These machines are affordable so buying them will not be a problem for you. Hooking them up to your car is also a straightforward process so you do not need expert help on that. Therefore, using this machine is an inexpensive way of diagnosing your car as compared to hiring a technician. Remember, technicians will charge you for their time, the use of their equipment, and the work they do. Use the ODB2 scanner for diagnosis instead of taking your car to a technician. Then use the savings you make for other things. For example, you can buy spare parts for your car with these savings. Sometimes, avoiding the services of a car technician is impossible. For example, brake lines disintegrate. Failing to visit a car technician, in this case, is akin to putting your life at risk. Taking your car for diagnostic analysis at the car repair shop is also compulsory for insurance purposes. Remember that unscrupulous technicians exist. These unscrupulous technicians manipulate their diagnoses so that they can charge you for nonexistent repairs. Fortunately, an ODB2 scanner acts like a second opinion helping you detect wrongful or fraudulent diagnosis by technicians. Check out obd2pros.com if you want to learn more about OBD2 scanners.